In June I took a 2-week trip to Bangladesh in support of the Bangladesh Python Project. 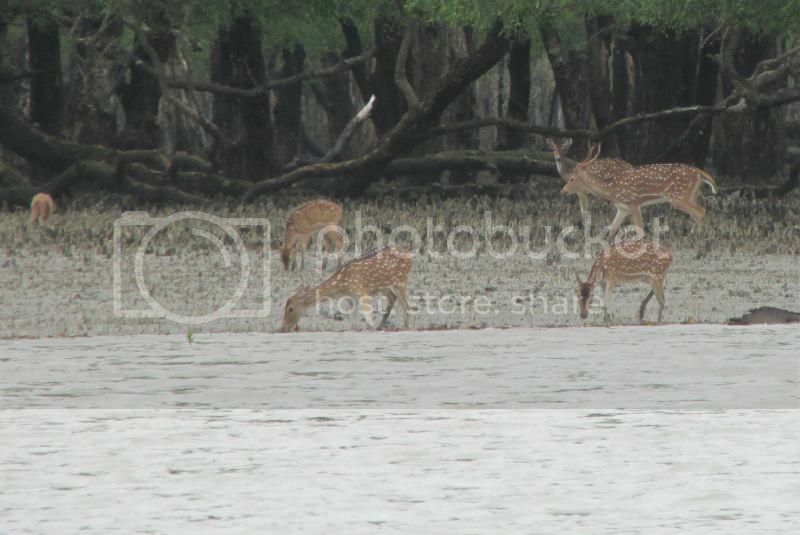 I got to spend 9 days in Lawachara National Park, then 3.5 days in the Sundarbans. Mammals weren't common, but some of the ones we saw were very cool. First off, the primate diversity is incredible. Lawachara only covers 12.5 square kilometers of forest, none of which is original mature forest. Yet there are 6 different primate species (3 macques, a languar, a leaf-eating monkey, and a gibbon) with several tribes each on that small space. On top of that slow lorises roam the trees at night! 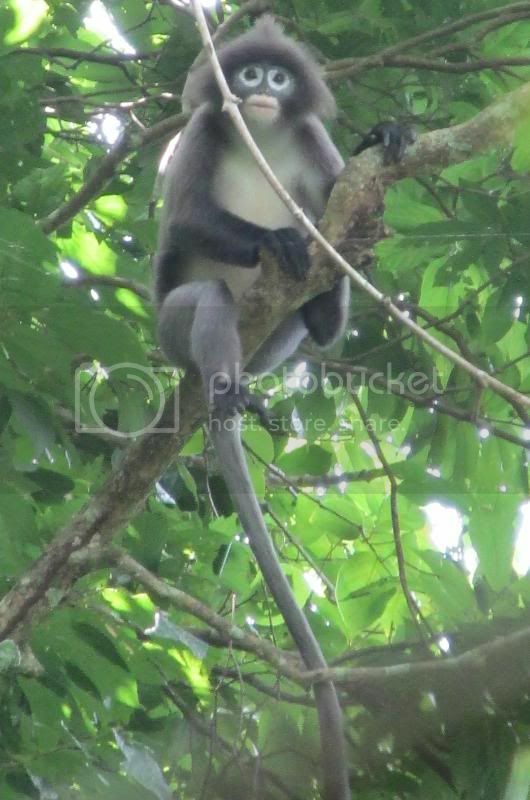 I believe that Northern Pig-tailed Macaques (Macaca leonina) were also spotted, but I don't have pictures. 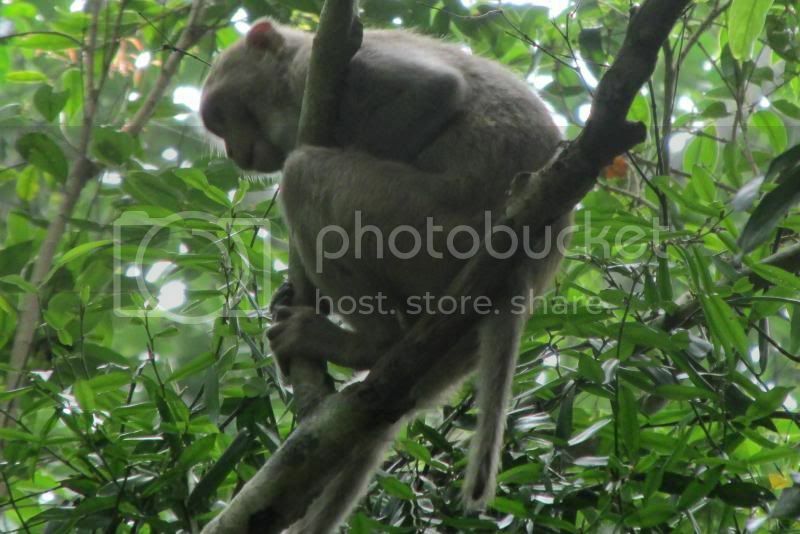 I don't believe that anyone ID'd any Assam Macaques (Macaca assamensis), a notably ugly monkey. 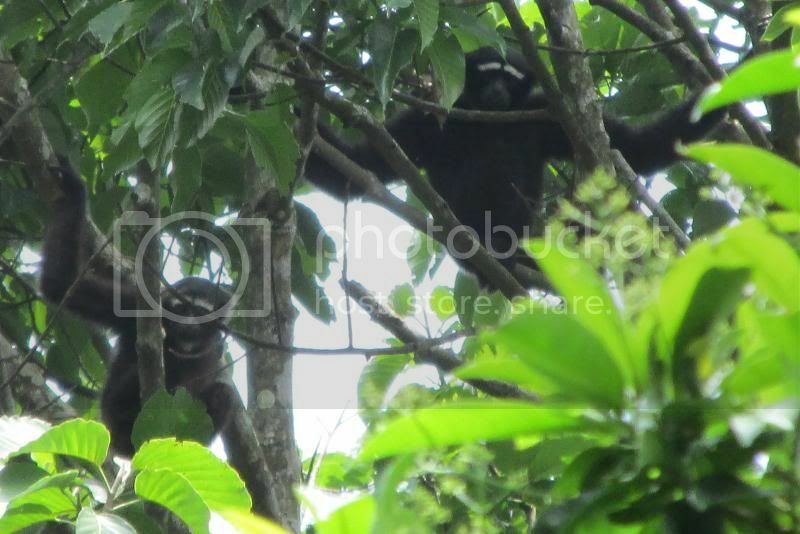 On one of our first trips out in the truck to do a daytime trail transect, we heard the unmistakable booming calls of gibbons. Someone asked, "Do we want to stop"? A number of us answered, "Heck yeah!" So we put the truck into reverse and followed our ears. 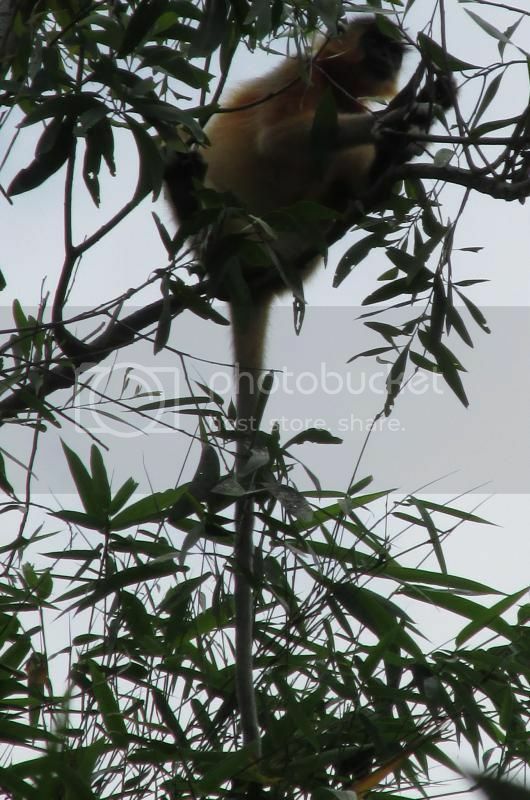 The gibbons were difficult to see from the road, but I climbed up the bank and got what I thought were some pretty good pictures. 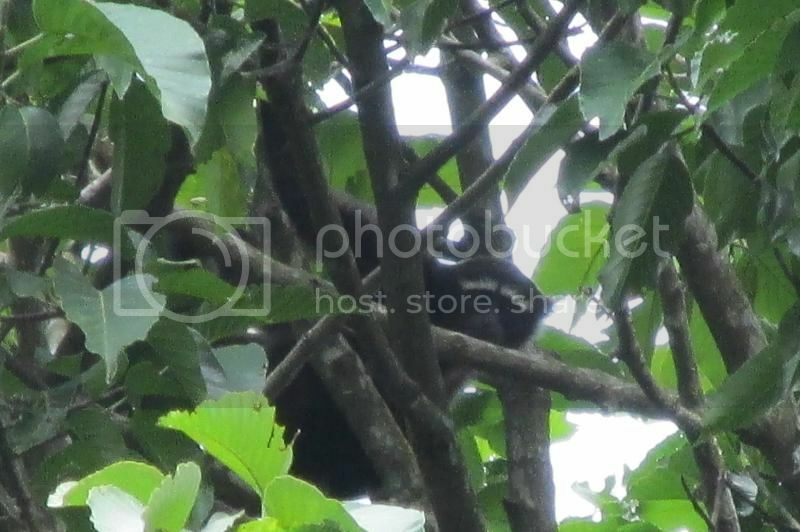 I've now seen two gibbon species, and both times the spotting came from the side of a road. It's incredible that this species has held on in a somewhat degraded area. Several times we went out into the jungle around noon for dedicated mammal searches. (Yes, searching for primates in the middle of the day can be fruitful.) The first couple times we only saw macaques. But the third time we really hit the jackpot. 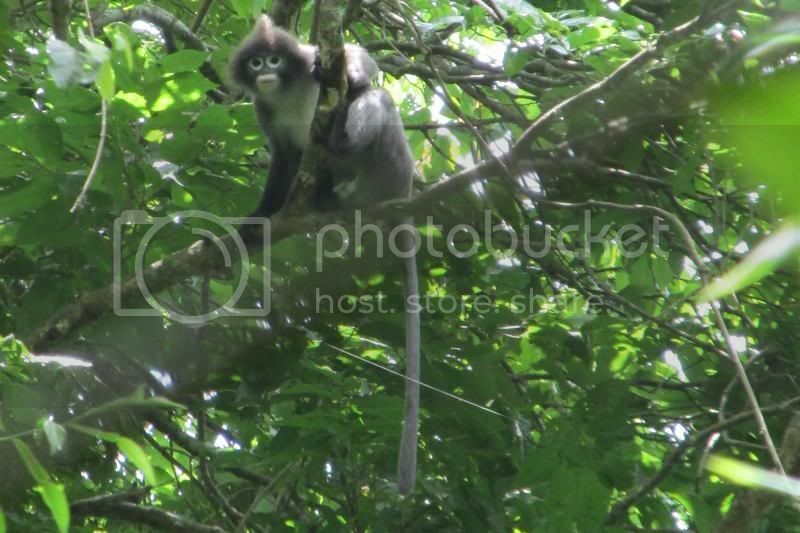 First, after the usual macaques, we quickly encountered a group of Capped Langurs. I followed a big male through the jungle for a long time without getting a decent pic, but did photograph this younger individual well. 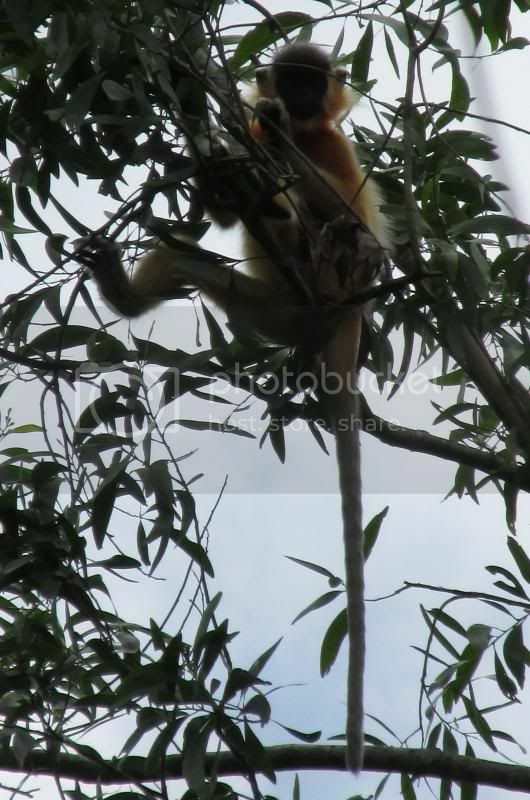 Then, just as we were heading back to the road, we encountered a group of leaf-eating monkeys, the diurnal primate I'd most wanted to see! A few people got a couple long-distance shots from the road, but I followed a conveniently placed trail and found this lone individual deciding to pose for me. My favorite monkey sighting ever. The best mammal sighting outside of the primates was a brief sighting of an Indian Crested Porcupine at dusk right before a nighttime trail transect started, but only one person on the team saw it as it ran away into the undergrowth. Our trip to the Sundarbans included a long boat ride just to get there. On the way we saw quite a few dolphins. 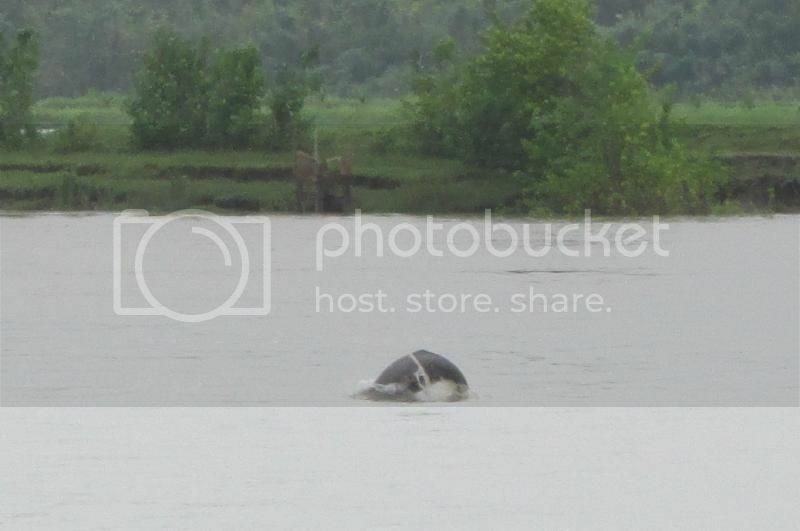 During monsoon season the water is too fresh for the 2 saltwater species to be around, so we only saw the 2 more freshwater-loving species: the endangered Ganges River Dolphin (Platanista gangetica) and the Irrawaddy Dolphin (Orcaella brevirostris) as well. 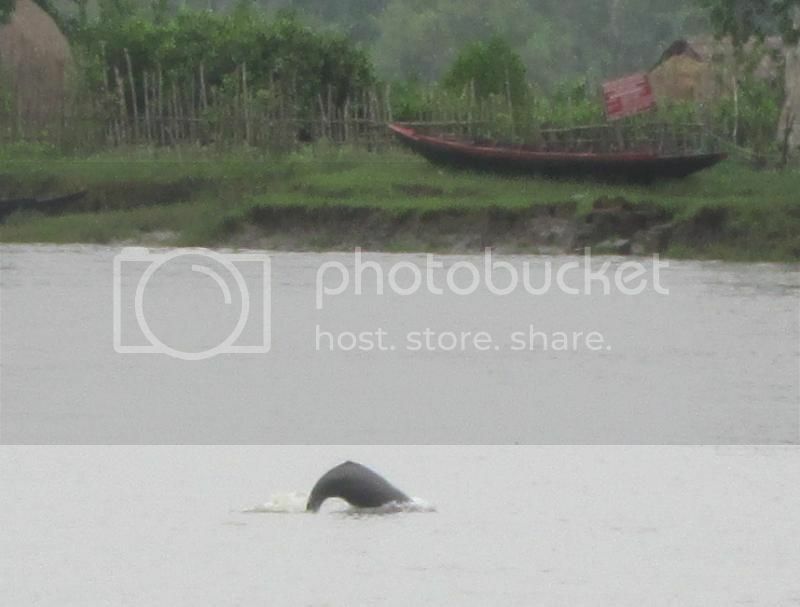 The Ganges River Dolphin was the much more commonly sighted of the two - I accidently deleted the one good photo I got (everything but the tailfin out of the water! ), but here's a decent look at the characteristic lack of dorsal fin. 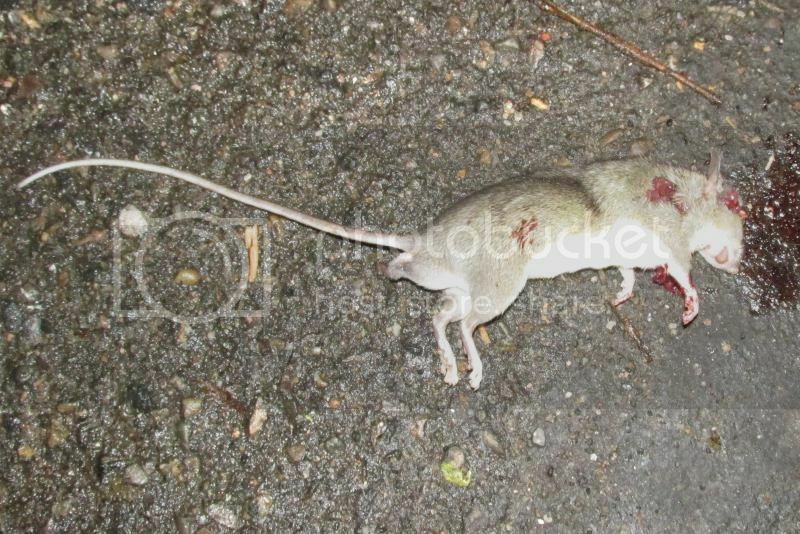 Once again some species of climbing rat was seen in the trees at night. 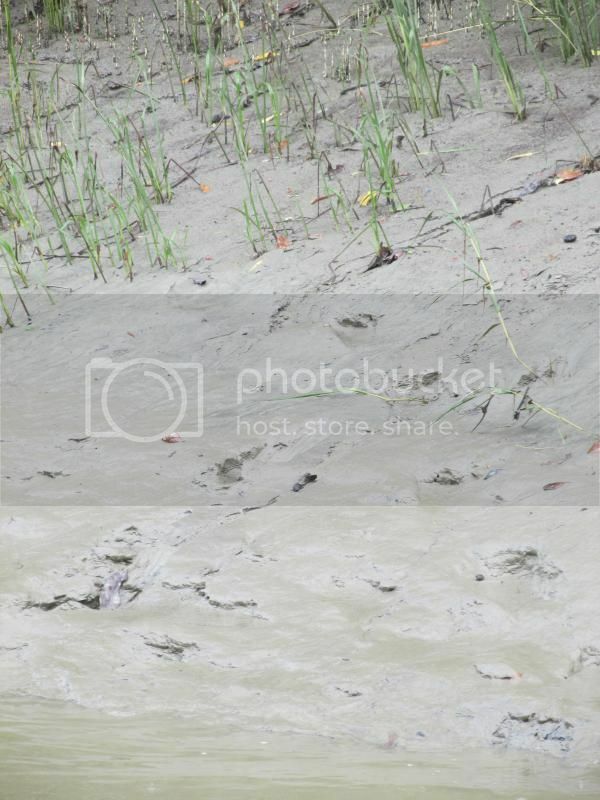 The most famous mammal of the Sundarbans, the Bengal Tiger, was never seen, but we did get tracks on at least two occasions. Part Four: Pythons and the land: is there space for us and wildlife to coexist? Wonderful stuff, Jonathan. That Leaf-eating Monkey is a showstopper. FWLIW, I use a program called cardrecovery to rescue photos I accidentally delete. (Something I do with depressing regularity...) It's pretty effective at finding deleted photos on a photo card. That's a fascinating program! Man, I wish I had that right after my honeymoon when I accidentally deleted a whole bunch of stingray, iguana, anole, and treefrog shots! I got the trial version and took a look at what it could recover...it blew my mind by recovering photos that were deleted 3 months and 2 formats ago. However, the dolphin photo was not among them. I accidentally deleted it only 10 minutes after I got it (with only one witness getting to see how good it was), so it probably was less likely to leave a mark. Ah, sorry. That's still a good shot, though. It's weird what cardrecovery can find...and what it can't. I was hopeful that the dolphin shot might have turned up. At least you didn't manage to lose the entire card, as I did once in Cordoba, Spain. It had my only native Spanish Turtle, several lacerta lizards, some birds, and a whole lot of Cordoban architecture and culture shots. I still can't figure out how I managed to lose a card that was in my camera. I didn't lose the camera...just the card. I swear I can screw up a one car funeral, sometimes. haha - I had the opposite happen once. My wife and I were going snorkeling on an empty beach on the Yucatan Pennensula when I had the thought, "I should hide some of my stuff before we leave our car here." So I popped my memory card out of the camera, and then hid it and my passport. We went snorkeling for less than 45 minutes, came back, all my stuff was stolen from the trunk...except my memory card and passport. Afterwards I thought, "um, why didn't I hide my whole camera since there was plenty of room for that? And for my $300 in emergency cash?"